Hi everyone, and welcome to the bread-baking club. Think of this as a safe space, committed to talking about—and demystifying—your breads and doughs. It's a vast world with a whole lot of potential for experimentation, but the root of the problem is this: Yeast, mysterious and giving, seems to scare the crap out of people. *This is not an endorsement of using your oven to heat your home, which would be bad. Please don't do that. Our goal is to break down some of the basics of the techniques, chemistry, and superstition behind great bread, and make the whole idea of getting your hands in some dough a little less intimidating. This column isn't about baking the right way so much as it is about acquiring the fundamental skills and know-how to bake phenomenal bread your way. Mixing: That thing we do when we take our raw ingredients—in this case flour, water, salt, and yeast—and combine them into dough. Proofing and shaping: Proofing is about letting the yeast eat up the sugars from the flour, and burp out gas and alcohol, which makes the bread rise and gives it a nice flavor. As bakers, proofing is about nurturing and caring for the dough, little-engine-that-could that it is. When shaping, we teach the dough what we want it to look like when it's a full-grown, fully baked loaf of bread. Baking: We start by stabbing the dough we've nurtured and loved, usually several times, and then fling it into a screaming hot oven. Fire, brimstone, and Maillard reactions galore! What comes out of the oven should be airy, crusty, and delicious. Storing/eating: Eat the bread. We made it, we deserve it. Are you going to try not to eat the whole fresh loaf right away, slathered in butter? Well fine, be that way. We'll talk about storage. These pillars are going to be our template, and as we work through bread formulas together, they're all going to fit roughly into this framework, or we're going to demand to see their hall-passes. Along the way we're going to talk about some of the vocabulary bakers use to talk to each other in the wee hours of the morning. WTF is a bread formula and who-the-sh*t is proofing? You'll know the ins and outs soon enough. And speaking of formulas, our first formula is going to be our workhorse: a tasty, crusty, airy, middle-of-the-road loaf that's so versatile you can shove seeds into it or make it into a rye. This bread is delicious as-is, and it'll be a great starting point for trying out your own ideas, making pan loaves or hearth loaves, French toast, bread crumbs, garlic bread, or a classic PB&J. The Workhorse loaf is white bread done plain and simple, with no frills. The following, four-ingredient formula (you can catch the full recipe instructions here) yields two crusty hearth loaves with a nice, open crumb. It uses all white flour, and only calls for commercial yeast...for now. We'll get into the weird stuff in later posts. But before we start baking, what is a formula? Is it the same as a recipe? Almost. It's like a recipe, but it's based on ratios (the percentages listed next to our weights above), not finite amounts. Why is this helpful? It's important for two main reasons. First, it makes scaling a recipe up or down really easy. Some days at work, I need to make two loaves of this bread; some days I might need a dozen. Memorizing the ratios in a formula allows me to easily make the amount of bread I want. Second, if we think of bread recipes in ratios, as formulas, it makes it easier to compare different kinds of bread with each other based on how much of each ingredient is present relative to the others—regardless of how many loaves we're making at once. As we get more practice looking at these ratios, it will allow us to alter a bread's formula to achieve certain qualities in the bread. It will also allow us to look at new formulas and have an idea of what it should feel and look like as we move through the process, before we even start baking. That means fewer failed experiments. Before trying our hands at the workhorse formula, let's take a moment to talk about what kinds of equipment we are going to want and—making it clear I'm not trying to sell you anything—we'll talk about what's really necessary, and what's just nice to have around. When making my doughs, I start with my stand mixer and a dough hook. To produce the full batch described, you'll want a bowl that fits at least five quarts. If you don't have a mixer, use the biggest mixing bowl you have in your house. It's better to have too much room than too little, so if your bowl fits fewer than five quarts, it's time to buy a bigger one. If you only need one loaf of bread, cut the recipe in half, although I strongly recommend making two-loaf (or higher) batches. 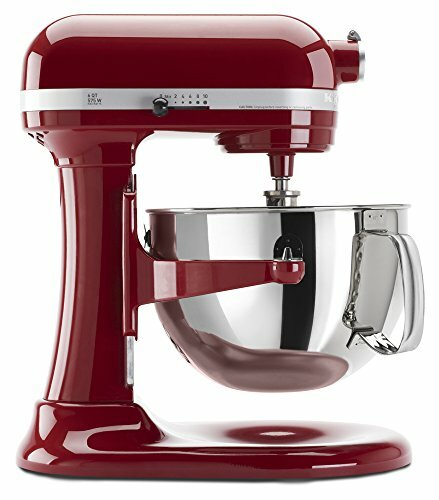 This allows for twice the baking and shaping experience for roughly the same amount of time. Remember, you can always freeze the second loaf or barter it at your local pub for a free beer. Accurate scaling is an important first step toward baking with confidence. This eliminates all of the questions about whether to sift or pack our flour, measure out a heaping tablespoon or a packed one, or how to estimate a pinch versus a smidge. If you don't have one, there's no need to spend a lot of money—just make sure it is accurate down to the gram, since that's the unit we'll be dealing with. 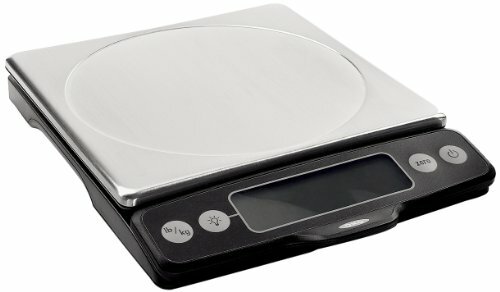 I'm partial to the OXO Good Grips Stainless Steel Food Scale with Pull-Out Display, which lets you check measurements easily, even when the scale's topped with a big fat bowl. It scales up to five kilograms (which is much more bread than you can bake at once in any home oven), and is accurate to the gram. If you have a triple-beam balance left over from your grandpa's mad-scientist phase, wear the chemistry goggles you found too; just make sure the scale is metric. Scales help keep us consistent, which will help us to refine our technique and recipes to make what we want, when we want it. Once our loaves are shaped, we're going to proof them in baskets lined with un-dyed cloth. Baskets help the loaves keep their structure and shape during the final proof. If you have bread-proofing baskets already, use them. If they're well-seasoned, you won't even need the cloth. You can find bread baskets and cloth, or couche, on the San Francisco Baking Institute (SFBI) website or Amazon. In place of baskets, you can use some medium mixing bowls lined with un-dyed, unbleached linen and sprinkled with flour. That said, the porosity of the wicker basket is ideal since it will keep our loaves from sweating, which in turn prevents sticking. The cloth is yet more insurance against sticking, and the dusting of flour on that cloth is our tertiary insurance. Why un-dyed cloth specifically? Any chemicals used to treat the cloth will otherwise seep into the dough during proofing, which means you'll be eating them later. Which basically undoes one of the best reasons to bake at home—to know what's in our food. The last major piece of equipment is a Dutch oven of some kind. Taking the excellent advice of Chad Robertson, I use the slightly unorthodox Lodge Combo Cooker. Not only do they cost under $40, but they're the perfect dimensions for making classic hearth-style bread. If you're using a more traditional, deep cast iron set, just try not to burn yourself when removing the bread, and don't use anything that's enameled unless it specifies high-temperature resistance—most enamels aren't designed to endure such high temperatures for so long. Finally, you'll want to have some sort of razor to score the bread. You can use a box cutter with a fresh blade, a utility knife, or even a sharp paring knife will do. For bread-specific weaponry, you can find razors and handles at the SFBI website as well. For what we're doing now, a baking steel or stones aren't essential, but they can measurably improve the performance of your oven by adding thermal mass. Home ovens lose a lot of heat when they're opened, which is bad for bread because we need that heat to get the full rise out of our loaves. Any extra stuff you can shove in your oven to help retain heat will help you bake better bread. A spray bottle of virtually any size, filled with water. Professional bakery ovens release steam, which has a twofold effect, both keeping the crust from forming too early in the process and ensuring that the crust that forms later on is as crisp and burnished as can be. We'll get into the hows and whys in a later post; for now, just know that a spray bottle will work wonders on your crust. Lastly, you'll want a wide, smooth surface to work on. I have a wooden butcher block that works great. If you don't have that, a cutting board will do. But, as with anything, if you're using plastic be careful not to scrape bits of it into your dough. A simple cooling rack is nice, too, but you can always just prop up the finished loaves so they don't sweat as they cool. And, excepting the oven—ideally one that can hit 500°F—that should just about do it. If you don't have any of these things and can't swing it to get them, leave a comment we'll talk about improvising some solutions. In our next post, we dive into the nitty-gritty of mixing, and get our hands in some dough together. If you're feeling up to it, give the workhorse a try. Otherwise, stay tuned and follow along for step-by-step, in-depth instructions over the coming weeks! For other reading, check out these resources for advice—we'll be referencing them all a lot throughout this series.